Acne | Beauty. Skin Whitening. Health & Sexual Wellness. -Acnotin is a powerful drug used in the treatment of acne. -Four to five months of isotretinoin treatment usually leads to clearing of acne for one year or more after the medicine is stopped. -Most other acne-controlling medicines are antibacterial agents, which are effective only if the medicine is used daily. Consume 1 tablet each day. Intake should be done the same time daily. After the acne is gone, gradually reduce the intake down. Do not stop taking immediately because acne will come back again. Reduce to 1 tablet / week. If your acne does not occur. You can stop taking the drug. – Isotretinoin has significant side effects: (percentages are the ratio of people who received the side-effect) Chapped lips 90% , dry skin and itching 80% – the use of daily alpha hydroxacids will help prevent this side effect. – Dryness of nose, mild nosebleed 80%, Irritation of the eyelids and eyes 40% – Vitamin E 400 IU each day may lessen this side effect. – Joint and muscle pains 15%, Temporary hair thinning 10%, Rash 7%, Intestinal symptoms 5%, Urinary symptoms 5%, Headache 5%, Increased sensitivity to sunburn 5%, Decreased night vision <1%, Depression, thoughts of suicide <1% Isotretinoin may increase the level of blood fats, sometimes to risky levels. – Occasionally it may affect the liver. That’s why regular blood tests are necessary when you are taking isotretinoin; these tests must be done when you have fasted for 12 hours (no breakfast), so that the blood fat determinations are reliable. – A baseline blood chemistry test is established before patients start isotretinoin. The most damaging side effect of isotretinoin is serious birth defects. If taken during pregnancy. It is critically important for women not to take isotretinoin whilepregnant, and not to become pregnant while taking it. Women who are, or expect to be, sexually active while taking isotretinoin must use an effective method of birth control. This usually means oral contraceptive pills and one other additional method of birth control such as a condoms for the male partner. A woman who does get pregnant while on isotretinoin must be prepared to have an abortion and must state this in writing before many physicians will prescribe isotretinoin for her. A women who has taken Acnotin should not get pregnant until one month after stopping the medication. After that time, it’s safe to become pregnant. Because the birth defects caused by isotretinoin are so serious, it’s important not to share the pills with others. We don’t know whether isotretinoin taken by men can cause birth defects, so it’s best not to get a woman pregnant while taking isotretinoin. If she is not using birth control, the man should use a condom. 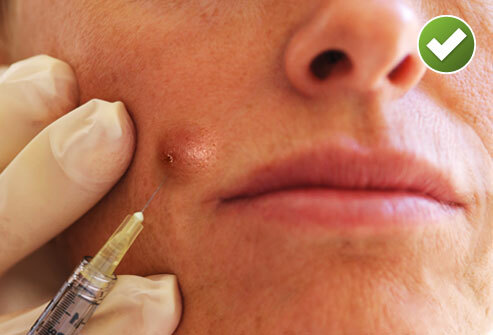 It is indicated for the treatment of severe recalcitrant nodular acne. The usual adult and adolescent dose is 0.5 to 1 mg/kg of body weight per day (in two divided doses) for 15 to 20 weeks; the maximum recommended dose is 2 mg/kg of body weight per day and may be required in patients whose disease is very severe or is primarily located on the chest or back instead of on the face. During the initial period of isotretinoin therapy, transient exacerbation of acne may occur; concomitant adrenocorticoid therapy may be required. Please consult your physician prior to intake of acnotin. This is for 1 box of 10 softgels.